I'm sure it's no surprise that Pinterest is the leading driver of views to blogs for most people these days - far outweighing Google, Facebook and any other means. So I wanted to increase my Pinterest followers to get more exposure for the pins from my blog (hoping this would convert into more repins) and also for stats for my media kit. My followers were at 299 as of March 1st and by March 31st my followers were at 736 and continuing to grow. For some larger blogs these numbers may seem slightly pitiful but hopefully smaller blogs and people just starting out can relate, and find this information useful. So how did I accomplish this? A couple of ways but the main way was to follow other Pinterest users who have a high follow back rate - and then following their followers. How can you tell if someone on Pinterest is likely to follow you back? By looking at their following vs. follower stats. I mentioned a similar method for Twitter which was also successful for me. If someone's following rate is higher than their followers rate they are much more likely to follow you. Also I check out the followers of recent people I have added - it means these people are active on Pinterest and also are likely to follow you back. I also add people who have repined my pins from my own blog because they have similar interests and also like the content of my pins so if they become my followers they may repin more in the future. Yes I have social media icons at the top of my blog but felt like they were small and easily overlooked. I have also added widgets of related boards into my blog posts for instance I wrote a blog post about How to make a Pinterest Worthy Image for Free - and included a widget of one of my boards with a collection of free backgrounds and fonts and that board received a ton of followers and some people followed all my boards. I also added a St. Patrick's Day or Easter board to a post I wrote about kids crafts for the holidays. And the last method is to create a group Pinterest board as people have to follow your boards in order to join and be able to pin to your board. I have gained a few followers from my group boards as well as they have liked most of my content. 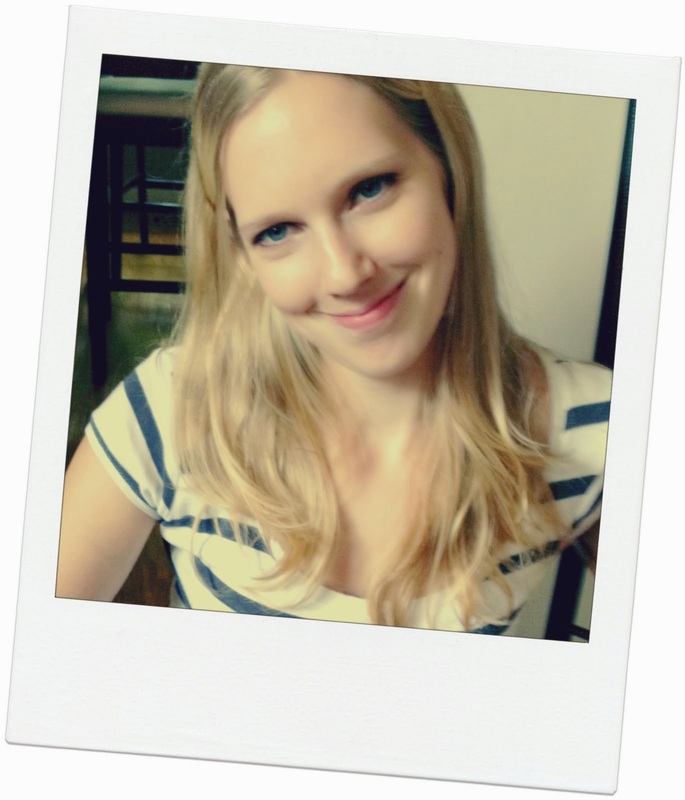 Follow Kristen @ Musings of An Average Mom's board Favourite Blogging Tips on Pinterest. You can also add your own Pinterest Group Boards to the Pinterest Group Board Directory, so people are more likely to find them. These are great tips! I have recently requested to join some collaborative boards and therefore have followed the the administrators of the boards. Many of them have followed me back. I have not incorporated related boards in my post, but will try that soon. I have a couple of ideas for group boards that I hope to start soon. Thanks for sharing! 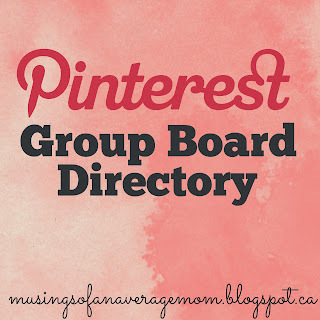 Glad you liked my tips, and don't forget to add your group boards to my Pinterest directory once you've created them. I have had several request for joining them lately so hopefully you can gain some new pinners as well. I'm planning to use Pinterest more, and it's encouraging to hear that Kristen's tips worked for you. Thank you. Just learning to pin, may never master it but you've given me some good suggestions to try. Great post. I found it very helpful because I'm new to blogging and only created a Pinterest page about 2 month ago. This is something I definitely need to spend more time working on and I'm going to follow your lead! So glad you found this post helpful! And I have followed you on Pinterest - I know Pinterest has been my #1 key for gaining readers to my blog and good luck to you. I need to work on my Pinterest for sure! Thanks for the tips!! Great tips, Kristen! I haven't linked to my boards in my posts a lot, so that's definitely something I can do more of. Awesome tips! Still trying to incorporate my Pinterest boards to generate traffic and this post will definitely help me. Thanks so much for sharing! Love you tips! Thank you for sharing. For the longest time I used Pinterest for personal searching, and it wasn't until recently that I started using it for my blog. I'm going to try to add a widget to my sidebar! Thanks! Glad you found this helpful and if you needed any help adding widgets just leave a comment and I can try to explain it. Hi there! Visiting from Whimsy Wednesday. Great tips! 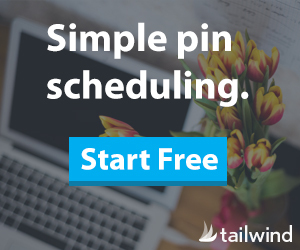 I recently started using a pin scheduler (Tailwindapp) and I've been gaining some followers. I have been trying to find craft and blog group boards to join, but haven't found too many active ones. I did find one that had followers who re-pinned by pins (Share Your Craft). I just sent you an email to request an invite to your board. Thank you so much! Thanks for joining my group board! If you are having trouble finding craft group boards you should create your own - maybe other people are looking for some too. And you can add it to my group board directory to get more exposure. I want to get a pin scheduler but just can't justify paying for one yet. Thanks for your comment. Thanks for sharing your link at Mom Blogs Party Week 7. I am always looking for ways to up my followers. Thanks for your tips. Thanks so much for the great tips! 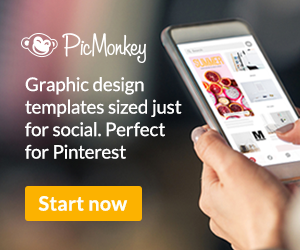 Pinterest is one social media that is SO helpful to bloggers! I'm now you're newest follower! Thanks so much for sharing these tips, Kristen! I haven't even been blogging for a year yet, so those numbers seem impressive to me. I'm still trying to figure out the best ways to manage my social media, so I appreciate all of the help I can get. I'm following you on Pinterest. Here's mine - https://www.pinterest.com/myovrflowingcup/ - thanks! Hi Heather, thanks for your kind words and I have followed you back. Great tips Kristen! Love these informative posts of yours! This is so helpful! So much I didn't know. Thank you so much! Visiting from "Espressos of Faith!" Great tips! I need to work on some of these. I love Pinterest so I have no problem spending more time there! Stopping by from Pintastic Pinteresting Party. Thank you for the tips! I followed you :) I personally have trouble thinking of Pinterest in a business/blogging sense because I love to spend time there just looking at everything. I tend to follow people back but then I read somewhere that it's bad to follow more people than are following you? Do you think that is true? Great question. Personally I think it looks bad when you follow 20,000 ppl and you only have 4,000 followers. But if your numbers are relatively close I think mine are 20 or 30 difference it doesn't look bad. But will let you know if I find anything else to the contrary. Hi! Visiting from the Mom Resource Party. I never knew that there was a whole formula to Pinterest! I've had a blog for years but haven't been serious about blogging and social media until now (funny enough, I ran other companies media but never applied it to my own lol). Thanks for the tips! I like the Pinterest group directory. Wow awesome tips here! I never thought of trying the twitter follow method on Pinterest!! Brilliant! Great tips! I'm focusing on Pinterest now - I'd really like to get my followers up. My username is HARKK. Thanks! I just started a blog in February, and it's so great to find helpful ideas for making it better. Thanks! Great idea, i will try an implement this! Thank you for sharing! Thanks so much for these excellent tips! Pinned! Interesting, I hadn't thought of some of these. Great tips! 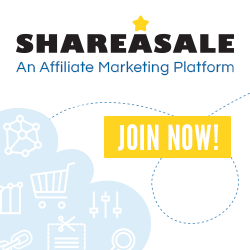 Always looking to build more followers on social media! Thank you for sharing on #ShareTheWealthSunday link up! Super tips! I love to see posts like this. Thanks for sharing! Kristen, another great tip! Thanks for sharing at #AnythingGoes. I've been trying to grow my Pinterest following, so I appreciate these tips! I'm going to try adding a widget to my sidebar. Thanks for sharing this post with Hump Day Happenings! Fantastic tips! 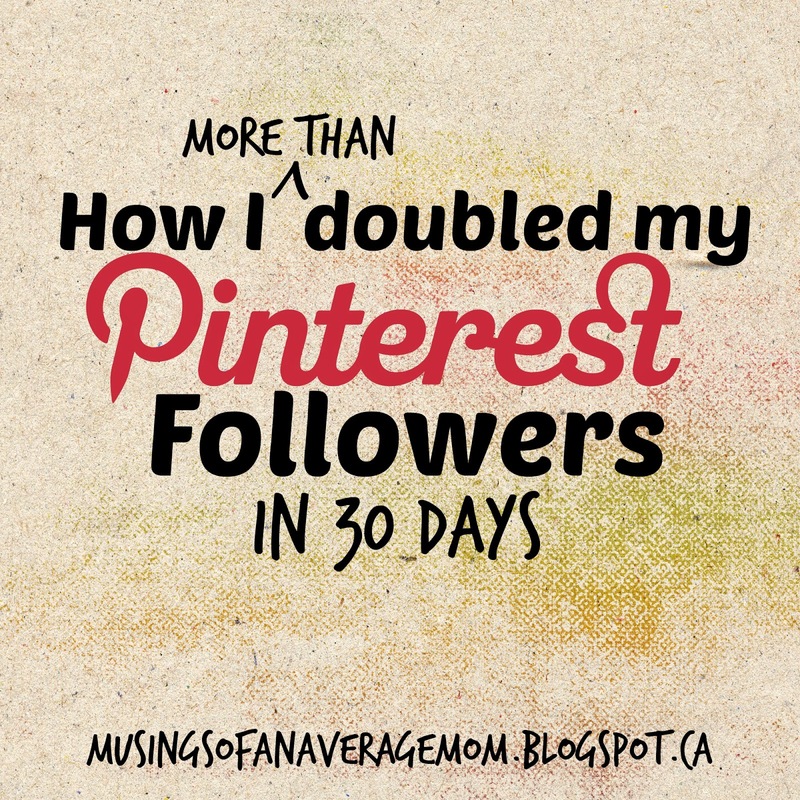 Most of my traffic comes from Pinterest so I'm always interested in growing my following. Thank you! Thanks for the informative post! I am choosing you as my featured link for last week's OMHG Wordless Wednesday Linkup! Awesome tips! I have been neglecting Pinterest lately, but yes it is my number one referral source, so I really need to do better with it. Thanks for linking up with the Best of the Blogosphere link party. Great tips! I have been so busy that I've been forgetting about Pinterest. I need to get on there much more often. Good tips... I have been doing some of this... by trial and error... and found it to work. Thank you. Hi Kristen, thank you so much for your tips. They are really helpful for a total beginner like me. I am still learning my rope about pinterest, and I have to admit even though it was stated as the most effective in bringing in traffic at the moment, it is also the most confusing, may be because it involves me learning to use boardbooster and managing my schedule. So once again thank you for this! Congratulations on being featured on the Mom Blogs Party! Great advice! I followed you on Pinterest, and I'm going to pin this post. Thanks for stopping by to share your tips on Pinterest, we can all use a few more followers, Im following you now. Thanks for visiting Friday Features this week! Awesome tips! I am not on Pinterest yet but I will use these tips if I ever get over there. Thanks for sharing and for linking up with #Alittlebitofeverything! Have a great weekend! Once again, fabulous tips, I am pinning, thanks so much for sharing!!! So helpful! Thank you so much for sharing these awesome tips!! !